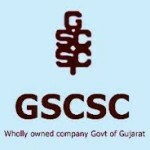 Gujarat State Civil Supplies Corporation Limited (GSCSC) has announced recruitment news for the post of Assistant Manager, Depot Manager, Senior Assistant and Assistant Depot Manager. Applicants interested in this job may apply on or before 17th December 2015. Education/ Qualification: Applicants applying for the post of Assistant Manager and Depot Manager must possess Post graduation degree and Diploma in Computer application from government recognised university. For the post of Senior Assistant and Assistant/ Assistant Depot Manager Applicants must possess Graduation degree along with Diploma in Computer Application. Fee: Fee of Rs. 100/- to be payable through Challan. Salary/ Wages: For the post of Assistant Manager and Depot Manager Salary is Rs. 9300 – Rs. 34,800/- per month plus grade pay of Rs. 4400/- and Rs. 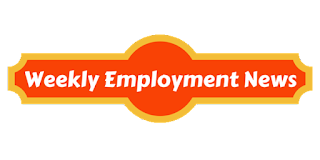 4200/- accordingly and for the post of Senior Assistant and Assistant/ Assistant Depot Manager Salary is Rs. 5200 – Rs. 20,200/- per month plus grade pay of Rs. 2400/- and Rs. 1900/- accordingly. Procedure to apply: Applicants may apply online at the website address given below in the link on or before 17th December 2015. Procedure of selection: Applicants would be selected on the basis of their performance in written exam.